When a shiny pair of mens navy blue dress shoes is on your shopping list, Giovanni Dress Shoes might just be the brand you are shopping online for. Giovanni Dress Shoes specializes in mens leather dress shoes that come with Italian style that are sure to please. 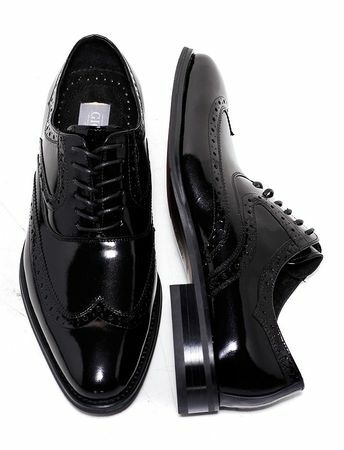 These shiny Italian style wingtip dress shoes feature a sleek look and are made of highly polish leather ready for action.